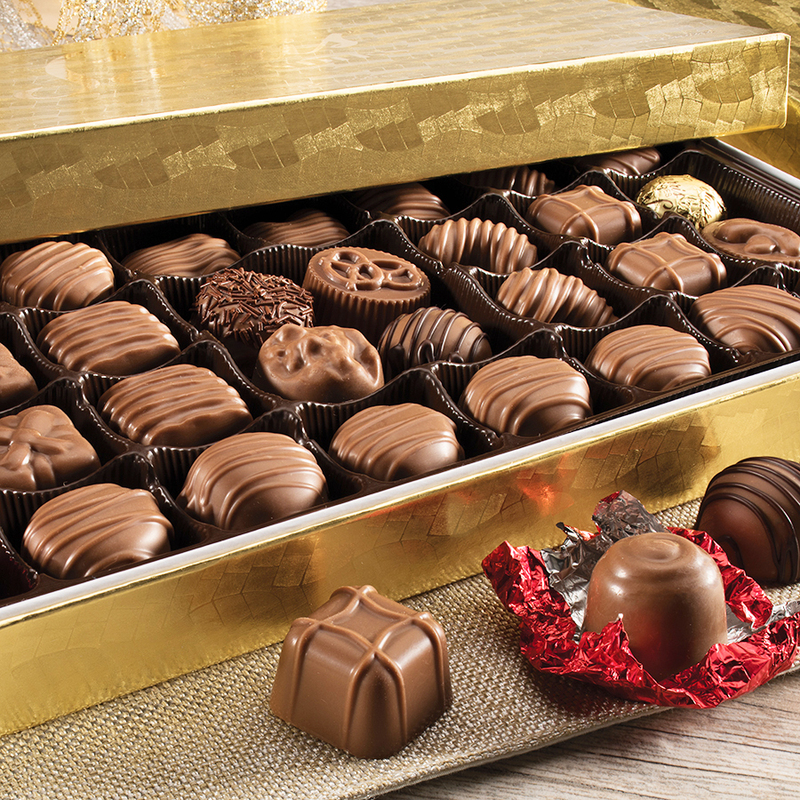 Our most popular assortment contains something to satisfy every chocolate desire. All of the pieces in this box begin with our delicate blend of milk chocolate, lending the taste experience to the more intense and complex flavors created once our creamy, rich, milk chocolate fully envelopes each delicious filling including fresh fruit creams, toasted coconut, caramels, freshly roasted nuts, meltaways and more. This assortment is for those who want the opportunity to explore, with the guarantee of tasting their favorites.